The surprising Pistons ground out a win on the road to open up an all-new NBA season, throwing up further woes to the Hawks in front of their home crowd. The Pistons had an upper hand to start this game off but Atlanta finished the quarter strongly to be tied at 25. The Pistons went on a 14-4 run to end the first half, leading the way for the Pistons was Johnson and KCP who combined for 12 points in the second. The rookie was looking good early on as well as KCP who has been criticized in the past for not playing well. He showed it tonight. Detroit had a 13-5 run midway into the third quarter and were certainly not looking back. Drummond was making free throws while the Hawks were hacking him, Illysova scored 7 and KCP contributed to 6 in the same quarter. 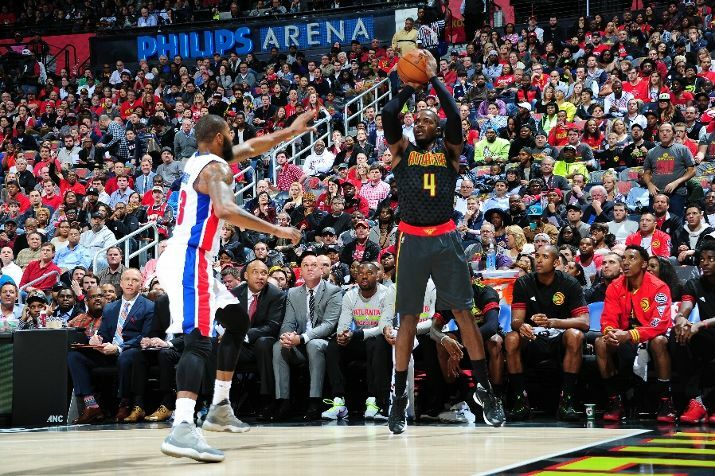 The Hawks couldn't find a way to stop the Pistons offense. Atlanta was on a 16-4 run in the fourth and were sniffing a comeback, but Detroit answered right back and pulled away from them late in the last quarter. Morris made a huge fadeaway jump shot that was the dagger in this one with the shot clock running down, he had a fantastic performance in his first game wearing a Piston uniform. My takeaway from this game was that the Pistons offense was consistently scoring and not going on a slump, the whole starting lineup did a excellent job making sure it was in tack and their defensive play steeped up big time, the East should keep their eye on the Pistons because they will be dangerous. Stats: KCP: 21 PTS, Drummond 19 REB, Jackson 5 AST. Milsap 19 PTS, 8 REB, Teague 4 AST.